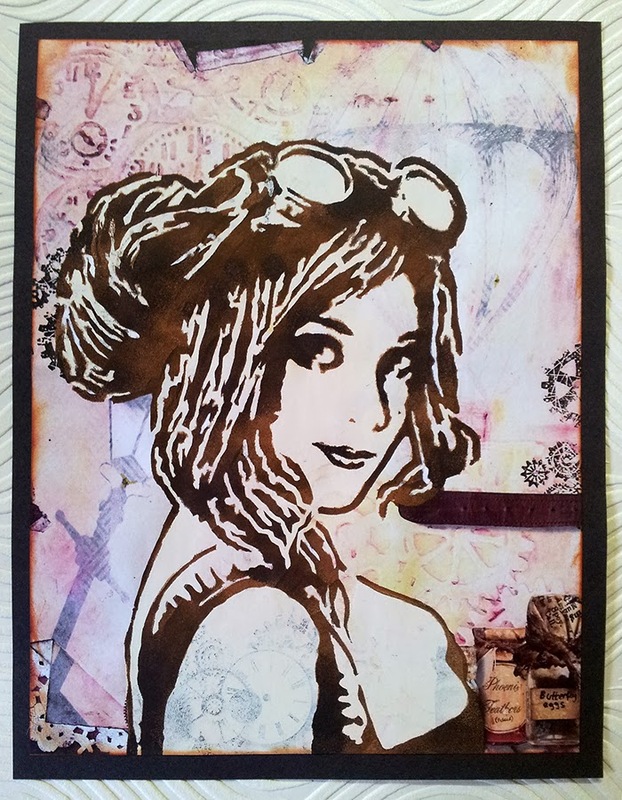 by Sami - 'I drew a face onto a book page and then stamped some hand carved wings on Gelli printed deli paper to put behind the face. I tried to do the hair as cogs but that didn't work so well. 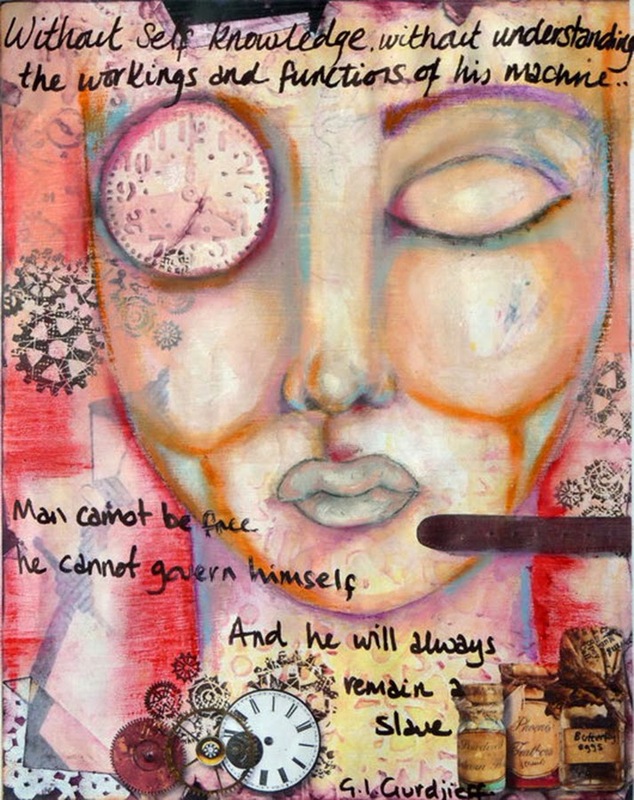 I used texture paste to put another face and some squares onto the paper. 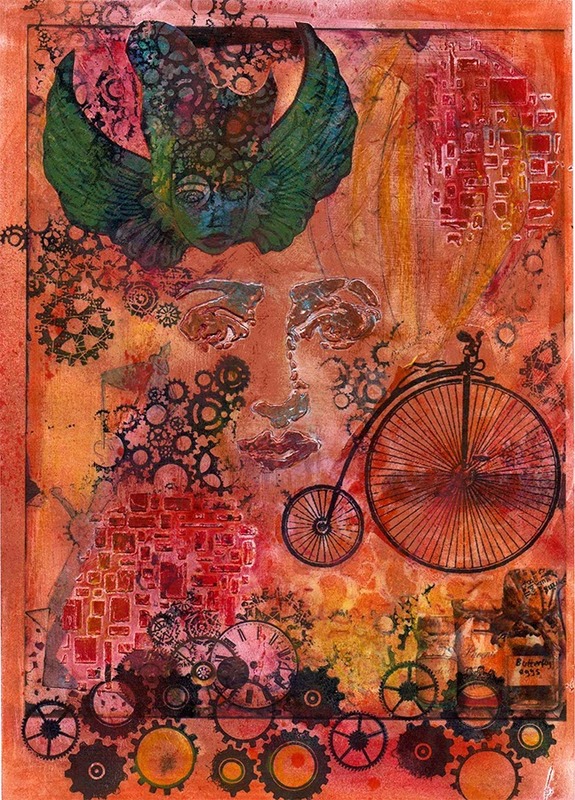 I used a bicycle stamp on tissue paper (given to me by Lou!) to add another detail. 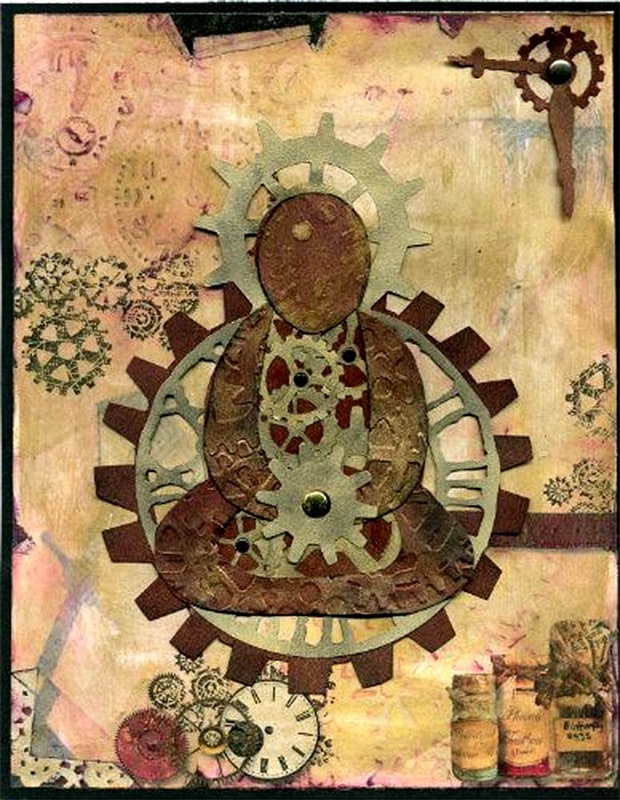 I stamped lots of cogs everywhere to finish off and then used oil pastels and spray inks to deepen the original colour of the page. 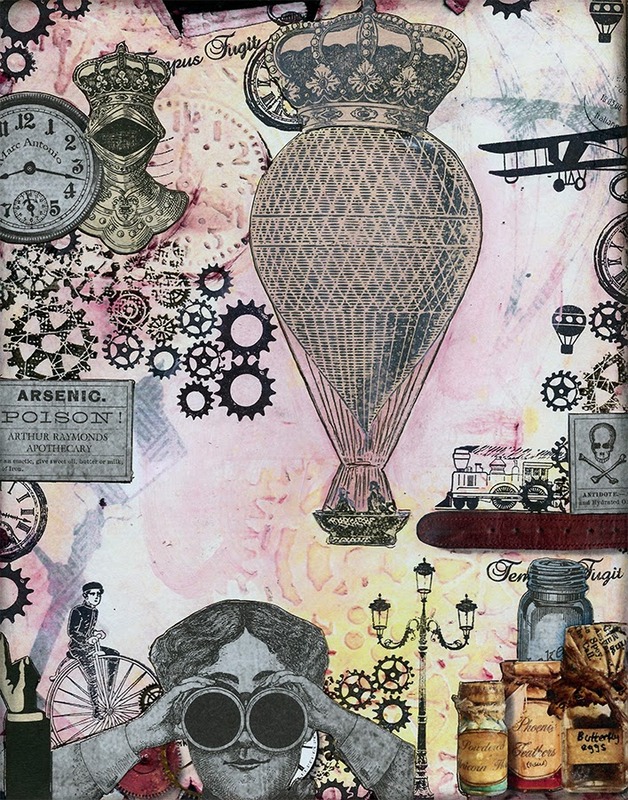 by Virginia - 'having already had the task of playing with steampunk previously I was quite giddy with this one. 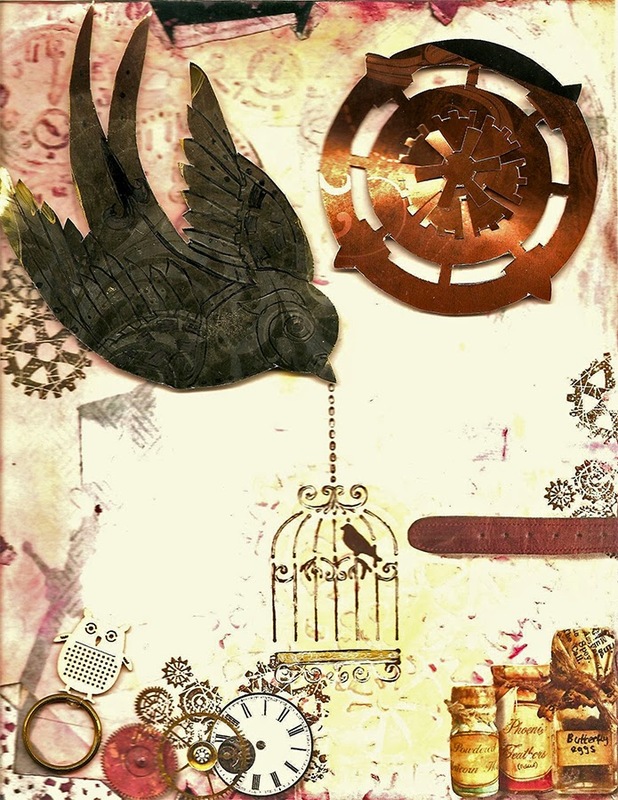 I love the background, dragged out some steampunk scrapbook pages that I had and cut out the elements I had. 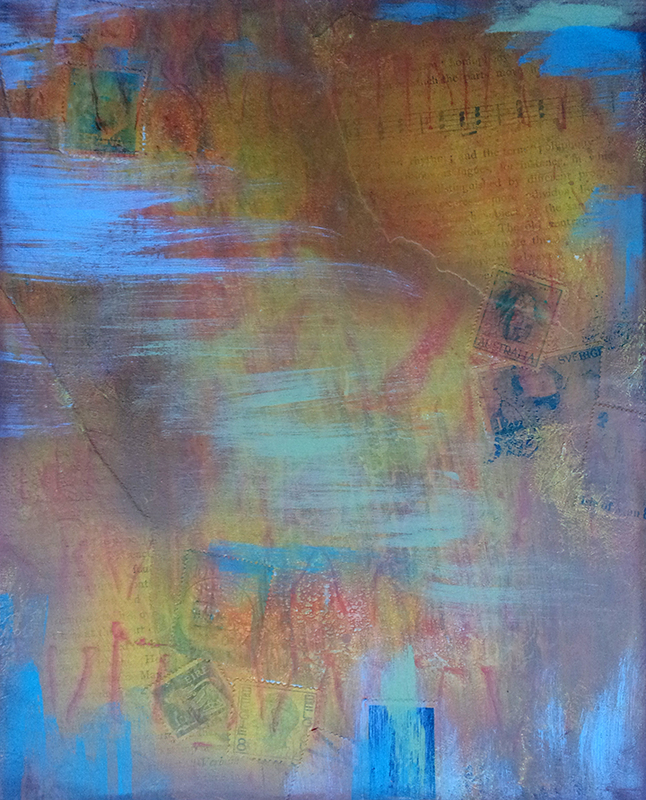 Then started to place on the page for effect. 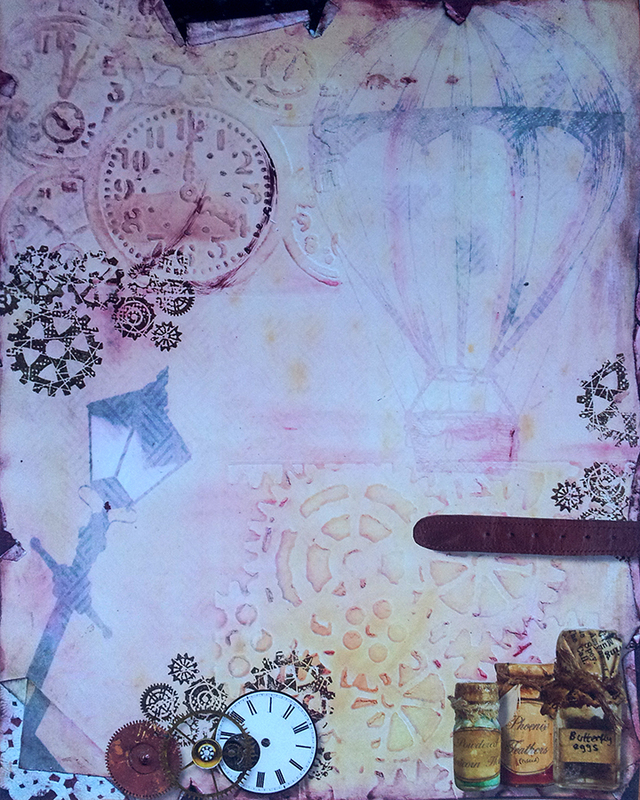 After playing for a bit I started to stamp on the layout then to stick the paper elements down, trying to blend them in. 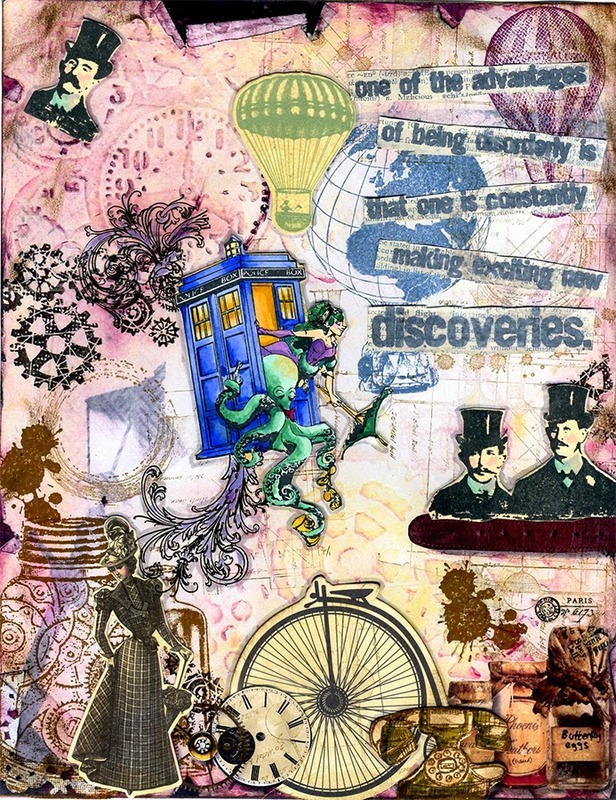 For a few of the items I had to 'mask' the paper item and insert the stamping thereafter. I had great fun with this one! These all look fantastic! Sarah your stencil cutting skills are amazing and I love Lou's Buddha- very clever! Really enjoying this collab! They are all so, so different. 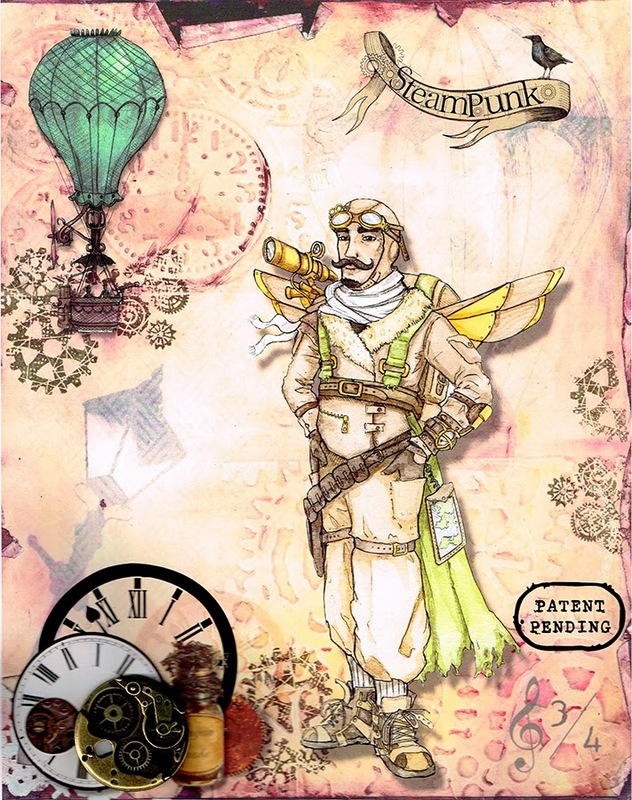 Loved this theme and I love all the outcomes... really got me thinking and I usually struggle with Steampunk! Wow they look fabulous love how different they all look. Blimey, all so different, yet all marvellous!